EyeSpy: Hidden Objects Quest, available for Android from the Google Play Store for free, is one of the best hidden objects games that we have played here at The Smartphone App Review. The reason? It actually attempts, and succeeds, to expand the ambitions of the genre. It does this by having an overall arc to the game. It is far more than a simple series of static images for you to click all over, but instead is far more of a complete and rounded game. ● EyeSpy: Hidden Objects Quest isn’t just a great game for everyone, it’s the perfect learning platform for kids to begin mastering the important skill of deciphering objects from one another. Best of all, with this quest they can learn in a fun dynamic way that makes them want to come back again and again! There’s no reason to wait! 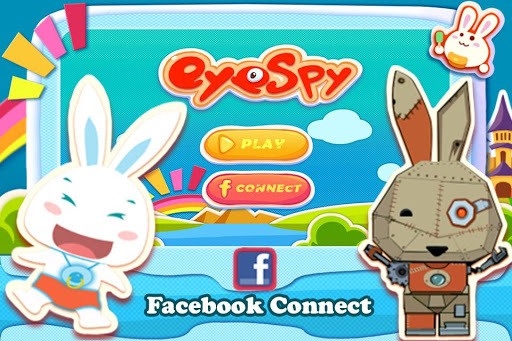 Get cute, cuddly, cartoon fun that engages your brain now with EyeSpy: Hidden Objects Quest – the perfect mobile brain bender for mobile game lovers young and old alike! ● 50 unique levels to spy through! ● Diverse challenges and rewards for accuracy, quickness and other spy master feats! ● Vibrantly colorful cartoon inspired design accessible for gamers of any age! ● Intuitive controls and easy to understand yet endlessly entertaining gameplay! ● Sharing options to make gaming social via Facebook – share scores and levels, and even help friends with extra lives! ● Flexible sound and music settings! ● Mentally engaging fun that doubles as an awesome learning experience! The game is actually a really refreshing entry to the genre, and all the levels are attractively drawn with plenty of detail and a lot of character. There is a healthy amount of content, with 50 levels to play through, which should take you a fair amount of time. You can share your progress through the game on Facebook, which is a great feature for social addicts. Overall, this is an excellent hidden objects game, and is probably the very best that you can get for Android.